So if we are only allowed 5 loanees in the matchday squad that means 1 is missing out. Norman’s unfortunately a given as he’s the only backup keeper we have. EEL has to make it because he’s a beast. Bunney will probably get the shout because he has to be seen as a better option than Done. Which leaves Holden and Pyke rotating for that final spot. Quite impressed with Bury tbf. They play quite good football unlike the physical Lincoln, and are currently unlucky to be behind. I dread to think how much they’re being paid but O’Shea and Maynard are really good players. England u-18s. Incredible news for him and the club! Quite surprised we even bothered appealing, if only because we don’t need him. Lillis is doing a good job and Moore’s perfectly capable of sitting on the bench. I’m sure the FA will see the frequency with which we appeal suspensions and that will go against us, which makes pretty needless appeals like this one even more annoying. I have to say though, the rule about the Checkatrade, while I understand the reasoning behind it, is particularly stupefying. 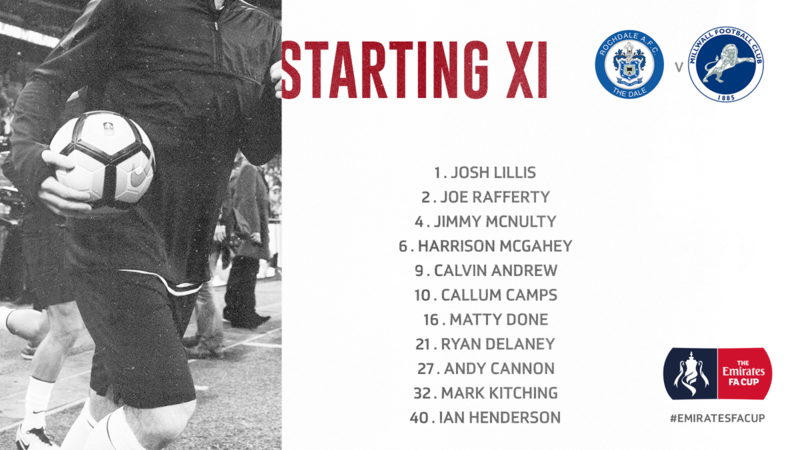 Same team as last week but Delaney instead of McNulty. Does anyone have any experience with them? I’m thinking of getting one but would like to hear some opinions first. I’m thinking of a discreet one that could hide behind my rear-view mirror if possible. What are everyone’s thoughts ahead of tonight? Certainly it will prove the toughest test we’ve faced all tournament but I think we’re well capable of beating them. They have my player of the tournament, Modric, joined by his excellent midfield partner Rakitic, but other than that we shouldn’t fear them too much. Mandzukic is playing in a different position than he does at Juve and he isn’t impressing. They started the tournament excellently but the past two matches they haven’t looked special, needing extra-time and penalties in both. Towards the end of the match on Saturday they were exhausted. As an aside, Radio 1 just interviewed John Pemberton as he coached Maguire and Walker at Sheffield United - weren’t we rumoured to be near to appointing him as manager before we decided on Eyre instead? I see pitch renovations are well underway. The club said earlier this year though that over the summer we were laying a pitch that would take a bit longer to lay but would last significantly longer (as in, a number of seasons instead of just one or half of one) and result in fewer postponements, a similar pitch to Wembley. There’s no mention of that in the current article though, and Premier Pitches are mentioned who I believe were responsible for the past two pitches. Have the plans for the super pitch been scrapped? I had no idea our youth system was that complex! 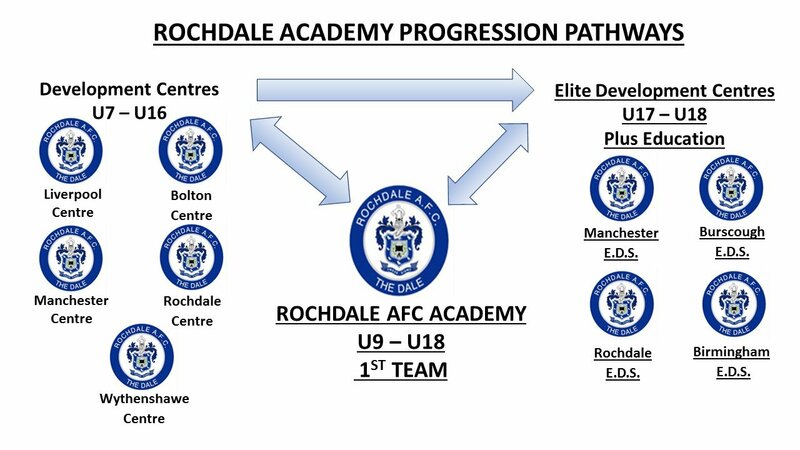 It's really heartening to see we're really branching out looking at talent further afield, and probably one of the reasons our academy has been so successful in recent years. I'm just wondering about the last time we were relegated under Eyre/Beech/Coleman, because personally it doesn't feel anywhere near as bad now. And while a degree of the bad feeling back then might've been because Hill (still very much messiah-like then) had just left us, I still think we're playing much better now. Throughout the 11/12 season we were playing like a relegation team, but this season we haven't had too many genuinely rubbish performances. In the main we're playing ok but just failing to score and having the odd defensive lapse that invariably ends up in conceding a goal, and although it's fair to say that's the sign of a team that's going down, I still find it easier now to maintain a bit of hope compared to then. After 30 games in the 11/12 season our record is remarkably similar to today's - won 5, drew 10, lost 15 (compared to now - W5 D11 L14). So we're actually a point better off now, and with no games in hand back then we were only one position higher. We've also scored a goal more this season and conceded 10 goals less. We used 41 players that season (currently 31 in this season) and it's hard to believe that the vast majority of them ever care about being here. I'm yet to see a performance under Hill that is anywhere near the likes of Stevenage (1-5) at home or Hartlepool (0-2) away for the sheer degree of passionless apathy from our players. For all our faults this year you'd be hard pressed to say any performance has seen the players not try. There seems to be still very much a togetherness and a healthy attitude around the players and coaches, compared with the constant rumours of dressing room fights and divisions that plagued the 11/12 season. Although there's been a lot of negativity around the club this season with things like tannoygate, the embarrassment of the pitch farce, the numerous 'don't come back' messages from various outlets and the apparent disdain with which fans are sometimes treated, that in no way correlates with the malignancy associated with the Coleman era. The winking incident at Southend, the alleged racism at Dagenham (both possibly the season after), the constant diving and general shittery of our football back then, it all just made you feel kind of ashamed to be associated with this club. In comparison to that we've had national media acclaim for not only our passion and fight against Tottenham but the attractive football that we play. I really didn't want to make this sound like one of those 'things could be much worse' posts because, while that's true, things could also be a lot better - and they have been exactly that for the past few years. But I just wanted a reminder of how quickly things went 'bad' last time we had a poor season, and compared to that things seem very much more healthy now. With the performances we've had over the past few weeks it really should be a case of anything but a win from this match is a disappointment. They're bottom of the form table having only got 1 point from their last 6 games. We're 3rd to bottom but that's just league results. In all competitions they've lost their past 6. After Sunday I think it could go either way. Either we'll be so hyped up and full of confidence that we put in another excellent performance, or we're so physically and mentally exhausted that we just flop. I'd personally start the same team as against Spurs though. Given that tomorrow's game is more important (opponent-wise) than Saturday's I'd save any rotation for then before the Wembley replay. I'm feeling relatively confident for this one. Having said that, we haven't beaten them in our past 9 attempts! We'll have six (6) games in hand on some of our rivals after today! Northampton winning at Scunny. MK and Fleetwood losing. Be careful on the roads out there, Daleys. With the heavy snowfall and the minus temperatures coupled with the gritters' no-show, the roads are absolutely chaotic. I live on a main road with the remotest hint of an incline and it's gridlocked currently with cars sliding into each other a lot. Don't drive tonight unless you need to! Northampton, Oldham and MK Dons all winning. Bury, Blackpool and Walsall drawing. Wimbledon losing. I do wonder who'll play at LB tomorrow. In Hill's most recent interview he implores the fans not to expect to see all of the new signings straight away. He also specifically mentions the left-back position, saying it's up to the players to stake a claim and it won't automatically be Hart's. Of course, it depends on the formation we play (I'm hoping 3-5-2), but we have a number of players who could play there. We've seen 4 of those play there so far with pretty limited success, but I've listed them in the order I think they're most likely to fill the position tomorrow, based purely on Hill's interviews and his previous tendencies. Although he could always pull another Henderson-to-LB move.